Often when clients come to us they have spent a long time – sometimes years – trying to get planning permission. Once Apex Planning Consultants get involved, we can draw on our many years of experience in the planning world to achieve what has previously seemed achievable. Take, for instance, a client of ours who had spent eight long years trying to get permission to develop his large house into flats. A number of planning applications had been refused and appeals dismissed. Once we were on board, our first plan of action was to bring along a new consultant (Sursham Tompkins & Partners) to prepare new drawings and a revised proposal. Once this was ready, we submitted the drawings to the council in a bid to get some advice before further money and time was spent submitting the plans. Along with the drawings, we put together a short justification that detailed why the proposal should be acceptable, as it adhered to the NPPF and local planning policies that were relevant, and would not have an adverse effect on any of the neighbours’ amenities, on highway safety or the character and appearance of the street. Part of our task is to work closely with the planning officer and this pre-application time paid dividends. 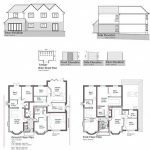 We were able to make amendments to the plans after some minor issues were flagged up, thereby ensuring the planning officer ‘bought into’ the proposed development. The work carried out before we even submit an application means that when we do submit, the proposal is far more robust. The plans suggested keeping the existing four-bed house and extending it to the side and rear (single and two-storey) to create six flats. The rear garden would become a communal garden with a drying area and parking for cycles. The front garden would be hard surfaced to provide parking for each flat and a covered refuse store. Because we monitored the progress of the application, we were able to tackle and address the objections that had been submitted by local residents and to demonstrate which ones were unfounded. During this process the planning officer advised that he was ready to recommend the application for approval. However, a local ward councillor requested that the proposal be de-delegated – which meant it was reported to the Planning Committee. It was at this stage that our client asked us to attend the committee meeting and to present his case. After presentations by the councillor and a neighbour who spoke against the proposal, and Apex Planning Consultants, the development was approved almost unanimously, with just the ward councillor objecting. Success after eight years – if only our client had called us in sooner! Next month – find out why one of our clients is jumping for joy…! If you would like to discuss your own project with us, especially if you have been struggling to get planning permission granted, or just to find out more about what we do, please browse the website or drop us a line at info@apexplanning.co.uk without obligation.